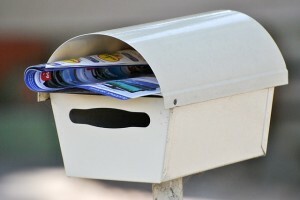 A Middlesex County judge has ruled that a gang member’s mail can be used as evidence against him in order to prove witness tampering. The judge concluded that gathering such evidence does not violate the U.S. Constitution’s Fourth Amendment or New Jersey Administrative Code. In 2001, David Young, an admitted Crips gang member was in prison awaiting trial on charges of attempted murder and assault. Investigators received permission from the prison’s administrator to monitor the inmate’s non-privileged mail. Four letters, one addressed to a person in Elizabeth and the others addressed to inmates in other prisons, indicated that the prisoner was attempting to have a witness change his testimony before the trial. Prosecutor’s moved to use the letters’ contents as evidence in Young’s trial, but the defendant’s attorney moved to preclude them from using the letters. He claimed that opening the letters was in violation of the Fourth Amendment and New Jersey Administrative Code. The judge did not buy this argument in either case. He dismissed the Fourth Amendment violation argument, citing the U.S. Supreme Court’s ruling in Hudson v. Palmer. “While housed in a correctional institution, an individual person and possessions are always subject to search and seizure based on the compelling need for safety and security inside the institution,” he stated. The president of the Association of Criminal Defense Lawyers of New Jersey stated that the judge’s ruling could have been overturned on appeal because it still did not address whether the administrative code meets state constitutional requirements. The criminal defense attorneys at Lubiner, Schmidt & Palumbo in New Jersey are committed to protecting your legal rights if you have been accused of a crime. We will work tenaciously to see that your privacy rights are protected. Call us at (844) 288-7978 or contact us online to schedule an appointment to discuss your case today.